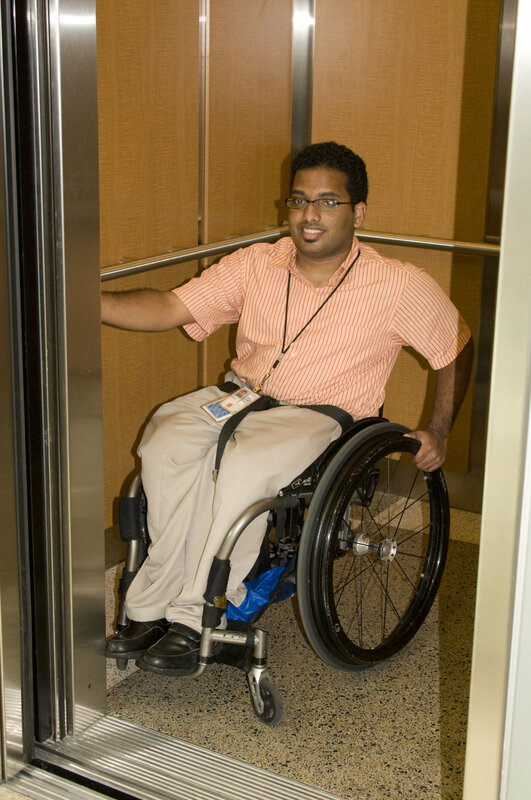 The man picture here, was seated in her wheelchair, and had boarded an elevator in a highly-accessible building on one of the Centers for Disease Control's (CDC) Atlanta, Georgia campuses. He was in the process of pressing the desired floor button where he was to conduct his business. Note the height at which the selection buttons were situated, making them universally-accessible for all passengers.